Curaizon™ is an innovative solution to a massive real-world problem. Their mission: reduce drug non-adherence and lower healthcare costs while advancing medical research. Millions worldwide who need medication fail to take as prescribed resulting in $700 billion in easily preventable medical costs globally. People failing to take medication as needed or prescribed has staggering consequences beyond the loss of money, it can result in serious injury or death. CuraServe™ is an easily integrated program that offers patient notifications and reminders to ensure they are complying with their prescribed pharmaceutical regimen. CuraServe’s™ outreach tools are designed to involve not only the patient, but their caretakers, families, and healthcare professionals for a multi-pronged approach. CuraServe™ technology has the potential to be the cornerstone of prescription medication infrastructure in all countries with national health services. By collecting anonymous data about when and how patients take their prescribed medicine in real-time, the medical and pharmaceutical industry can use that database to advance their research helping to solve the problem at its root. Every time a patient uses CuraServe™ the information is collected and can then be used by the medical industry using the data solution CuraData™. CuraData™ serves to then further bridge the gap between prescription and patient adherence by fully informing the industry as a whole through data analytics that exists in a decentralized space on the blockchain. How does the CuraToken™ work? 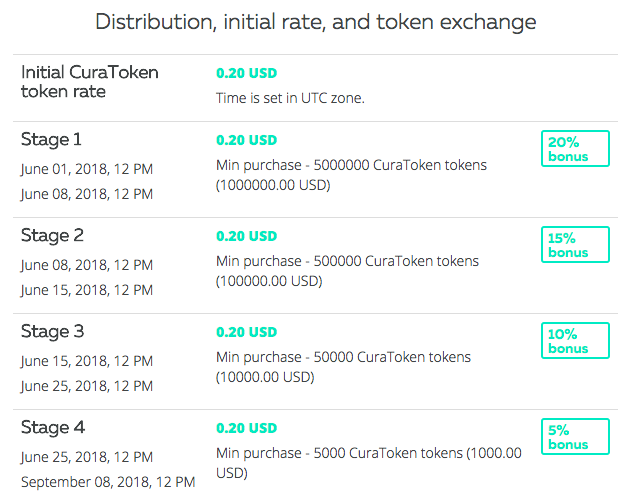 CuraTokens™ are the only way to access Curaizon’s data, giving the token intrinsic value based on the patient notification and reminder outreach solution to further the research solution. Want to participate in Curaizon’s global healthcare solution? Find out more information by visiting Curaizon’s Coin Clarity ICO listing or sign up at Curaizon’s token sale page to purchase.